Christmas wouldn’t be the same without the feeling of having totally over-indulged. 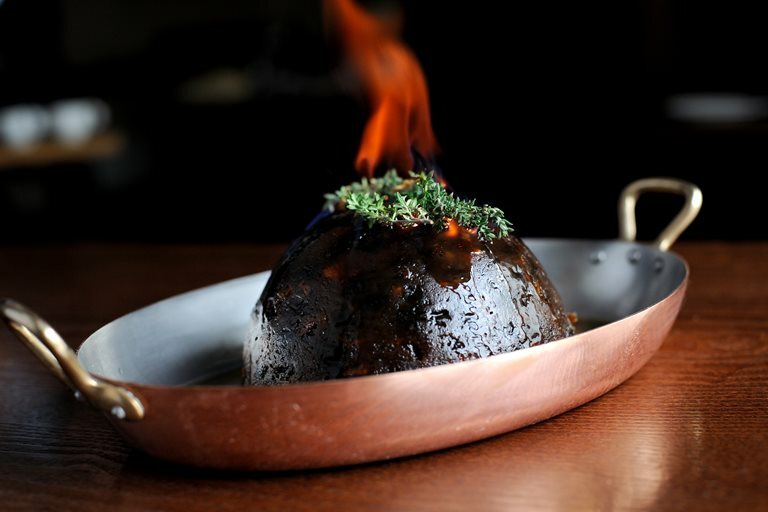 This Christmas pudding with brandy butter recipe from Dominic Chapman will make sure you and your guests will be full of Christmas cheer - with Guinness, rum and brandy in the mix. Serve the reheated Christmas pudding with a good dollop of brandy butter or some cream. If desired, turn down the lights, splash some more brandy over the hot pudding and set it alight!